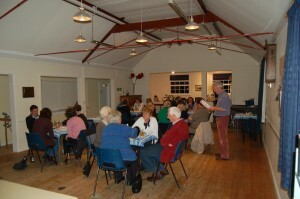 Quiz Nights held monthly on a Friday night which is Pub Night. Bar open from 7.30pm to 10.30pm. Prizes for the winning table and also for lowest score! Check the calendar for the next quiz night and come along 7.30pm for an 8pm start. All welcome. Do bring your friends, it is great fun and very friendly!